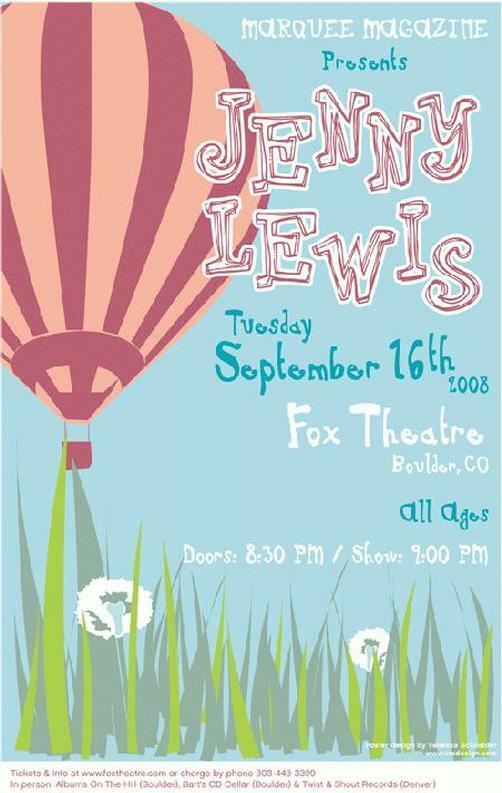 Original concert poster for Jenny Lewis at The Fox Theatre in Boulder, CO in 2008. 11x17 card stock. Art by Vanessa Schneider.